The new revolutionary Covers4pools GeoBubble is now available world wide you can find out more about how this product works and which swimming pool cover material is best for your swimming pool. Swimming pool covers reduce evaporation ,save water, energy and chemicals While at the same timer retaining and providing heat, plus decreasing debris in the pool. An affordable and simple way to reduce the carbon footprint of your swimming pool, plus saving you money, extending your swimming pool season and reducing your pool cleaning time. not all swimming pool covers are the same! GeoBubble is scientifically designed specifically for use in a harsh swimming pool environment, and sets a new quality benchmark for all other swimming pool bubble cover materials. If your pool is in a Hot Climate I will supply the higher specification UV material at no extra cost.. but please tell me where the pool is. What is an EnergyGuard Selective transmission cover? Increasing pool temperatures and inhibiting algae growth are now possible with this innovative selective light filtering material, removing the need to compromise between temperature performance and chemical savings. Using 500µm selective transmission GeoBubble material, the new EnergyGuard material offers the highest possible savings on chemical and solar heating. By using the process of selective transmission to control solar energy absorption, the water temperature is raised by up to 5°C compared to an uncovered pool, and algae growth is inhibited, making this a dual purpose pool cover and the most efficient cost-saving material available. *provided swimming pool water is balanced within industry standard. To order order on line simply calculate the total length and width of your pool in metres and then put that total into the quanity box. which is the best measurement to take? 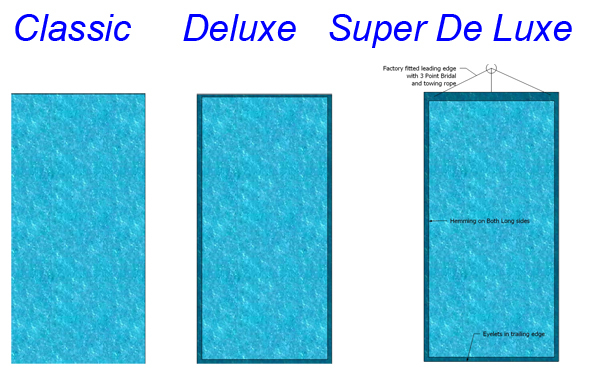 The science behind the revolutionary Covers4Pools ,GeoBubble"
Swimming pool covers are exposed to high Ultra Violet (UV) radiation and chemical attack. GeoBubble has been designed specifically for use in this environment to help make it resistant against these attacks. A traditional bubble cover materials original design was developed from the packaging industry, which is a high volume, low quality packaging bubble material which only has a short life-span. Because of this, traditional bubbles have several inherent weaknesses in their design, including thin points and high residual stress. 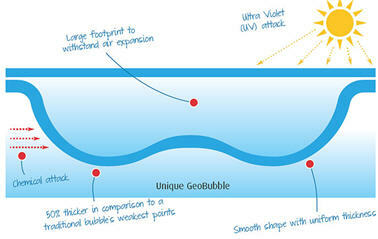 Thin points in a bubble design are weak points which are quickly broken down by UV and chemical attack. The degradation process is accelerated in areas of high stress, as these areas are under constant strain. These factors result in the bubble material breaking down, and ultimately, premature failure of the swimming pool cover. Swimming pool covers eliminate water evaporation by over 98%, thus greatly reducing your water consumption and charges, as well as saving a vital natural resource. 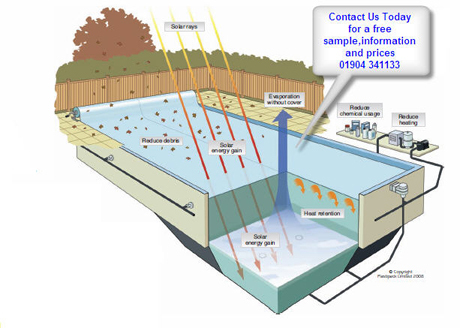 By having a swimming pool cover you can reduce your energy consumption by up to 50%. During the day your swimming pool cover increases your standard pool temperature by up to 4°c. This works by allowing the suns energy to pass through the cover and heat the top layer of the water and secondly, through absorbing the suns energy and passing this heat through to the water by direct contact. A swimming pool cover will also help to retain heat in your pool at night as the cover acts as an insulator stopping cooler outside air from reducing your pool temperature. The combination of additional heat during the day and the retention of this heat at night will dramatically reduce your energy consumption in your pool. Evaporation through the pools water surface area is by far the greatest source of energy loss for swimming pools attributing to up to 70% of the heat lost. Research in collaboration with UK universities showed that by using a swimming pool cover on an average sized UK pool, 4m x 8m, that uses a modern heat pump, you could save up to 5000 kWh of electric every year! 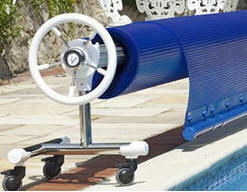 Standard pool covers will reduce your chemical consumption by up to 50%. The two main factors for this reduction are the prevention of debris and chemical evaporation. By having a cover debris is prevented from entering your pool water. 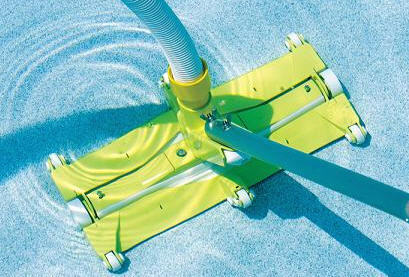 Any debris that would normally enter your pool uses up chlorine and so eliminating this reduces the amount required. Stopping water evaporation also stops the evaporation of chemicals, thus allowing the chemicals in your pool to complete their full cycle and not be lost to the atmosphere. Pool covers typically reduce pool maintenance and make it easier to keep your pool water balanced within industry standards. Research in collaboration with UK universities showed that by using a swimming pool cover on an average sized UK pool, 4m x 8m, up to 50% could be saved in chemical consumption, which equates to up to 8kg of chlorine! What is a Sol+Guard cover? The innovative Sol+Guard swimming pool cover with the revolutionary Covers4Pools, GeoBubble "technology is at the top of its class for allowing the maximum amount of solar gain. It also saves money, water and energy usage, as well as being scientifically designed to last longer. What is a CoolGuard cover? The innovative CoolGuard cover with GeoBubble" technology inhibits swimming pool algae, reflects the suns heat and saves money, time, water and energy usage, as well as being scientifically designed to last longer. 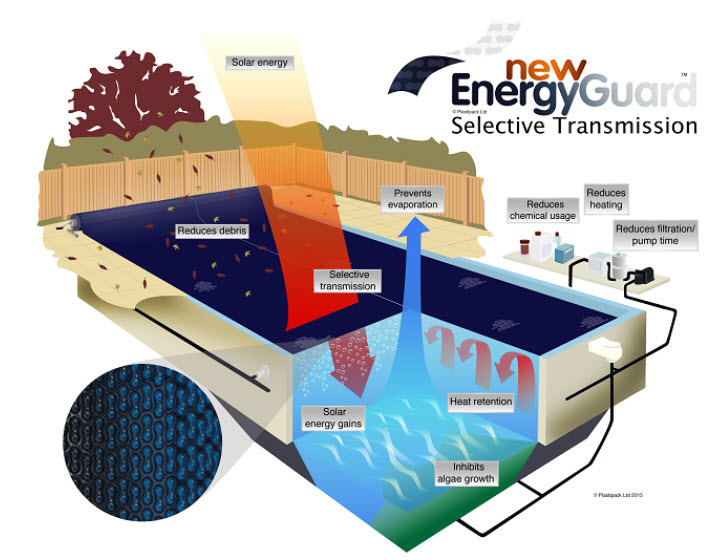 The innovative EnergyGuard cover with GeoBubble"technology inhibits algae in your swimming pool which saves you money, time, water and energy usage, as well as being scientifically designed to last longer.